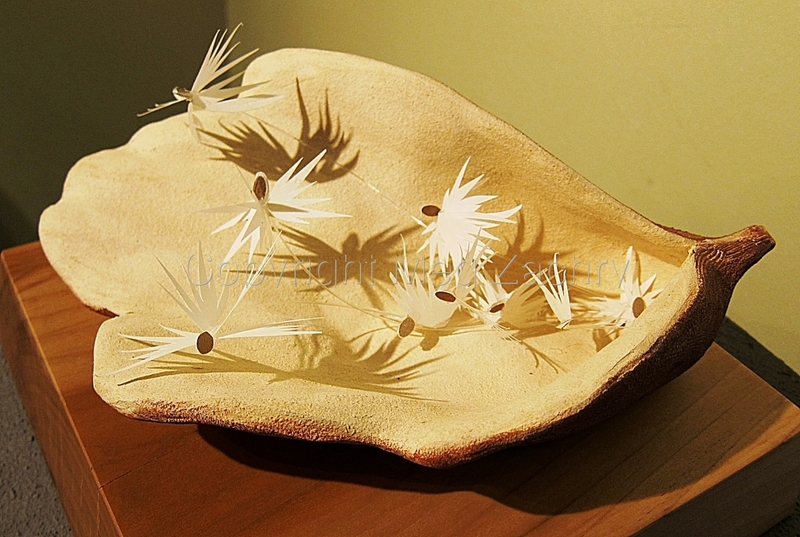 Ceramic and paper sculpture showing hands as a seed pod. Piece is part of a series on Fear and Fearlessness. 8 inches wide and deep, 5 inches tall.